There is a gentleness to most of our wildlife, encompassing the deep nature of the Australian existence. Relaxed, at ease, but hard as nails. Did you know that when it’s not mating season the Blue male Wrens become the same brown colour as the girls. 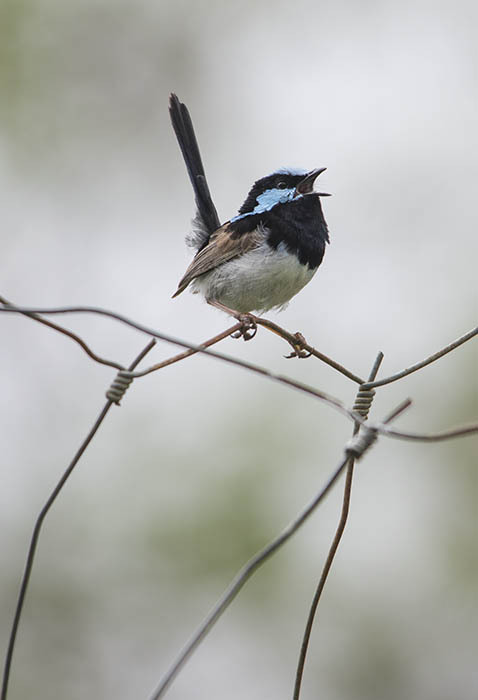 The delicate fairy Wrens so tiny, but full of an energy that surpasses its size. Its proud tail saluting the world, with a confidence and pride that we could draw lessons from. A demanding presence, the Wedge Tail Eagle makes a statement wherever it is. Whether circling above or straddling the gore of a roadside feast, you can’t help but stop, even for just a moment. Its an icon of the power in nature, and a fearlessness that we all crave. Do you have a favourite bird encounter? As the sun sinks behind the hill each grass strand and leaf take on a new form, of dancing details in the soft hues of sunset. It’s no longer the rich greens, but the delicate and intricate patterns that become its statement. The horse’s presence softens, yet still highlighted against skies as the colours evolve, signalling the end of another day. Sunrise in the outback, where the colours are as warm as the air that circles. The first glint of light brings the landscape alive, and nature becomes a play of artistic shadow and light. The essentially Aussie larrikin, big mouth with a llot of personality, and if I can just hold still enough they will not see me…I am not here……I am one with the tree. Capturing a moment of Australian nature in memory forever, and remind you of those little moments of escape, of self.